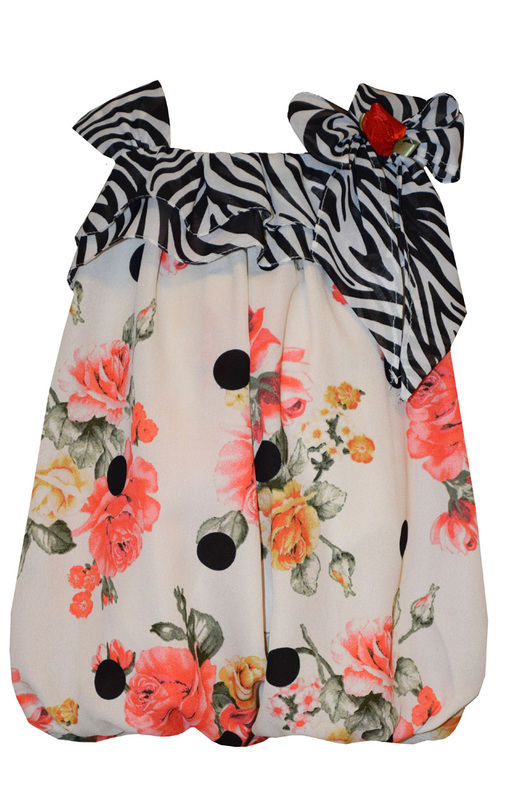 All over floral print chiffon one shoulder bubble dress is decorated with zebra print up top and a pretty flower up by the left shoulder. Soft fabric bubble dress romper is fully lined. For the perfect bubble effect there are three snaps at the bottom (so there is no need for a diaper cover). New style and totally adorable!